TV is a hugely successful $60 billion industry. It’s also built on a jury-rigged measurement system that’s a bit of a joke and needs to be replaced for the potential of the modern media world to be fully realized. 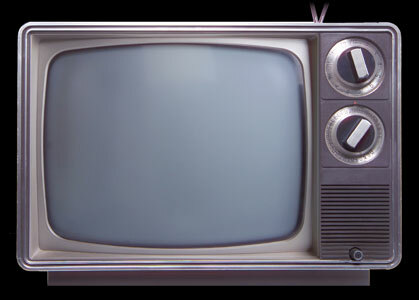 Nielsen ratings have admittedly come a long way from handwritten diaries, but they’ve still become antiquated as our viewing experience shifts from broadcast television to over-the-top services like Netflix and Hulu. This sea change of Internet meshing with TV presents a golden opportunity for anyone with the smarts to step up and figure out a better way to mine the resulting avalanche of consumer-engagement data that is now becoming available. Nielsen guesstimates shouldn’t be OK anymore. This opportunity will be realized by those content creators, advertisers and merchandisers that have the courage and vision to finally dispense with the ways of the past and embrace this new paradigm in order to optimize both viewer engagement and advertising spend. Make no mistake: Inertia is what has prolonged Nielsen’s rule. As linear programming goes the way of the 8-track, your ad buy will need to adjust for the fact that there is no logical sequence to when viewers see your ads. There’s also bingeing: If someone is spending the evening catching up on season two of “Glee,” how do you adjust the ads they’re seeing to account for that? You’ll also need to provide synchronized second-screen experiences. So that if your commercial is playing on the main screen, there’s a way for someone to use the Web-based second-screen device to get more information, in a way that does not ask them to actually stop watching TV and pay attention to your product — a mistake made by far too many advertisers during this year’s Super Bowl. Improved ratings and the move away from a broadcast model bring up yet another critical issue: Who will be buying all that valuable new ad inventory — the traditional TV media-buying services or the newer Internet-advertising ones? Each has unique strengths, and while the big TV-buying shops have had Web-focused divisions for a while now, neither has demonstrated that it can handle the myriad demands of the new viewership model. That leaves the media-buying world ripe for the emergence of a new player, a service that positions itself as the experts on this new, post-convergence world. This new player will intuitively understand that the demise of linear TV gives consumers greater control over what they’re watching and gets why that will shake up the video-content production game the same way the rise of blogging and Internet-based newspapers shook up print journalism. More importantly, they’ll understand that media itself can no longer be split by Internet ad spend and TV ad spend: With social TV and the convergence, they are now one and the same. So the job of the new generation of media planners and media buyers will be to understand social television and how the video message on the primary screen interacts with the Web-based message on the second screen and what consumers are expecting from each. Quick question: when you’re watching TV, do you talk during the entire show? When the commercials come on (provided you’re not skipping through them) do you only think and talk about the show you’ve been watching? I’m guessing the answer is no. So then why does so much of the activity in the social TV space assume the opposite? 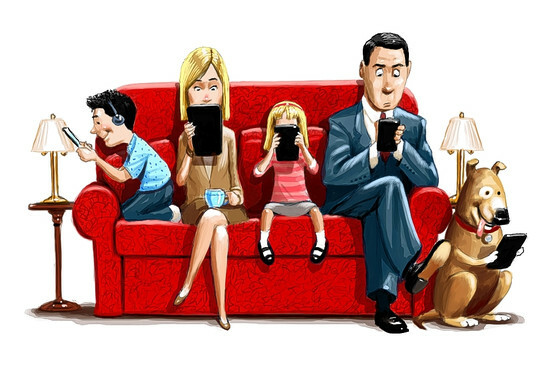 Yes, a lot of people watch TV with a second screen device in hand. But there’s no logical path that says they are using that device solely to interact with whatever is on the screen. Chances are high that if they’ve whipped out the iPhone, they are checking email, looking at a friend’s Facebook photos, checking the score of the game they’re not watching or some other activity completely unrelated to the what’s on TV. That’s because people often turn on the TV just to have some sort of background distraction. Call that “passive viewing.” Reading email and half-watching American Idol aren’t incompatible. Neither is going on the Fox website and looking up the bio of a contestant who captures our attention. They’re just two of the many things we might do during a passive viewing experience. What about shows that aren’t just background noise? Shows we look forward to and actually care about what’s happening. Call that “active viewing.” Logic dictates that if you are engrossed in a program, you are not going to wander off to look up the IMdB profile of the lead actor or open up TweetDeck to see if anyone else is tweeting about the District Attorney’s pink shoes. That’s the thing about chat: there are events where we want to spend the entire time talking exclusively about what is happening onscreen: football games, political debates, reality game show finales. But those are the exception, not the rule. During active viewing we’re far more likely to give our undivided attention to what’s happening on the screen, to the point of letting phone calls go unanswered. During passive viewing, there’s not a whole lot of incentive to spend a time talking about a program we’re only casually watching. All of which weighs in favor of a Social EPG: an application whose primary purpose is discovery: a nicely designed listing of all the programming options available to us and the ability to change the channel. Everything else is just gravy: which shows our friends are watching, which ones they’ve liked, who is in the cast, what, if anything, are people saying about it. That’s all information we might want to have before we hit “Watch Now.” Any “second screen experience” is unlikely to be the focus of our attention for shows we are actively watching and likely to be just one of several outlets during shows we are passively watching. A social EPG just a really useful tool, one that provides us with all the social and related data we need. In other words, it’s not a magic bullet. Just a really powerful one. Aereo is a controversial new service that allows users to watch live broadcast television over the internet on iPhones and iPads and stream those same broadcasts to their television sets via a Roku or Apple TV device. Aereo, which is backed by investors lead by Barry Diller, claims the charge is for the DVR service, not the broadcast signal, though industry observers have doubts about Aereo's prospects in court. Nonetheless, the service launched yesterday and here is a first look at what it offers. Location: Aereo is only available in Manhattan. Or sort of. The web-based app gives you an out by acknowledging that many corporate IP addresses are mapped to a different location (KIT's is) and allowing users to hit a "No, I really am here" button that overrides the location block. This is a smart idea, but it plays up the problematic nature of both geotargeting and geoblocking based on IP addresses. Offering: Aereo offers all 5 major networks (ABC, CBS, Fox, NBC and PBS) along with the CW, PBS Kids, Home Shopping Network, Univision, Telemundo, SinoVision, and 17 other channels that range from public access to the Ion (formerly Pax) network of reruns. It's not the 2,000 channels you get from your current pay-TV provider, but it's not $100/month either. Picture Quality: I've attached some screen shots. It's just Day One and all, but the WiFi at KIT digital's New York offices is pretty decent and Aereo was plagued by the sorts of buffering and stopping that used to make online video so painful. Picture quality was also an issue - definitely much worse than Netflix or Hulu, with a whole lot of pixelation. It's watchable, but barely. Cloud DVR: Very intuitive (you click on the "Recordings" tab and your shows are there. )The picture quality seems to be a lot better than the live recording: I watched and recorded an episode of The Big Bang Theory and the recording was much better quality than the live broadcast. UX/UI: Aereo is very intuitive, which it should be, given the limited number of options, but the app is easy to use and doesn't require any sort of instruction or manual. Setting up Roku was easy too. The support page is well organized and clearly written, a rarity for new apps. (Talking to you, Spotify-- I still have no idea what all those colors and symbols mean.) My one quibble is the number of times you need to press "play" - first to select the show, then again once it loads. Overall: Right now, I wouldn't pay 99 cents a month for it, let alone $12, but that's because of the poor picture quality, not the app or the content. If picture quality improves (and ESPN joins in) this could be a real option for cord cutting. Or at the very least, unbundling. One of the most significant developments in the TV landscape went virtually unreported earlier this month. There had been much speculation around how Netflix would handle the release of their new original series, given the non-linear nature of the service. 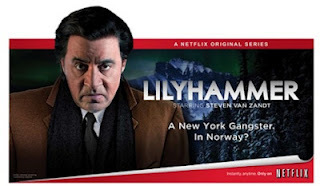 They surprised most observers, however, when they announced that in launching their new series Lilyhammer, a crime drama starring Steve Van Zandt, they would be releasing all 8 episodes at once. Now research has shown this to be an excellent tactic for short-form content: viewers get hooked on a series by watching 3 or 4 episodes at once and don’t have to remember to return to the site on a weekly basis. So-called “binge TV” - where viewers use services like Netflix or iTunes to catch up on entire seasons has become popular enough to warrant its own nickname. For many people it’s their preferred way of watching. Which is why Netflix play is at once brilliant and revolutionary. Because suddenly the notion of linear TV is completely off the table and a complete on-demand line-up is in place. The effects of this will be myriad: take the way TV shows are currently marketed, for instance. Rather than rely on on-air promos and growing buzz over the course of the season, TV shows will be marketed more like movies, with a huge build-up around the initial release date, followed by a combination of paid media and social buzz as follow-through. There will be a long-tail for shows who enjoy popularity as reruns or as “cult classics” but for most shows, the initial release will be do-or-die time. The “Lilyhammer Effect” will also have a major influence on how TV shows are developed. Currently, writers have the option of shifting the emphasis to a breakout minor character or dropping a plot line that seems unpopular with audiences. But with a whole season to deliver at once, writers will have to rely on instinct and luck. Production schedules will feel the impact too. While shows are currently written, filmed and edited week-by-week, with writers and actors racing to keep up with constant deadlines, the new series will be able to be shot all at once. This may create some economies of scale, but will also demand a greater commitment from networks: they no longer have the option of shutting down an unpopular series after a few episodes. So look for shorter seasons, with producers putting out 6-show seasons to both cut risk and lessen the time between releases. But the biggest effect, perhaps, will be felt by consumers, who will be freed from a linear schedule. That means taking a more active role in viewing decisions as nothing will ever just be “on”. Both networks and network operators (pay-tv providers) may offer “recommended viewing” schedules, likely customized to a user’s tastes, and independent recommendation systems will flourish as well. One particular niche will be systems that offer recommendations for group viewing by taking into account each family member’s unique tastes and ability to understand adult-oriented content. Perhaps the most amazing thing about the Lilyhammer Effect is that it’s not the ramblings of some TV futurist: it’s here and already happening today. 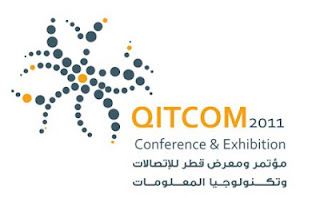 I had the pleasure of representing KIT digital at QITCOM, the annual conference held in Doha, Qatar. My panel was on Social TV and my fellow panelists represented 6 different countries. Social TV is a different animal in the Arab world and the entire conference was most definitely an eye-opener. But first a little set-up: Doha is well on its way to becoming the next Dubai. The economy is booming and there are buildings going up everywhere you look. In places, it looks a lot like the suburbs of Dallas or Las Vegas circa 2004, where entire towns seemed to spring up out of the desert overnight, symmetrically designed and carefully landscaped. It’s easy to get lulled into thinking you’ve landed in Princess Jasmine’s Oasis at Disney World, but those people in the traditional dishdashas, kefiyas and veiled burkas are not cast members: they’re the ones in charge. And yet the Al Jazeera network is based here too, in a heavily secured state of the art compound. Which is why the conversation about Social TV takes on a different character than it does in the US. In the Arab world, social TV means spreading news stories via YouTube, Twitter and other social networks, and vetting those tweets and clips for the TV news, where it’s also given context. With so much going on in the region and a dearth of credible, uncensored news sources, it’s only natural that organizations like Al-Jazeera use social news as a primary tool. They’re appropriated many of the same techniques that brands use in social media: identifying influencers and trusted sources, relying on those “brand evangelists” (so to speak) to bring them the news so that they can spread it. There’s also a timeliness factor to their stories: where an entertainment channel can rely on catch-up viewing, reruns and creating a story arc that’s easily caught up to in a couple of “binge” settings, a news story has a very limited shelf life. Once we moved from news to content, I was struck by the similarities between the Arab and Latin American worlds. These are the two regions where a common language unites a large swath of diverse nations. I learned that the Arabic spoken in the Gulf, Egypt and the Levant is not easily understood in Morocco and Algeria, much in the way Mexican Spanish doesn’t always translate in the Caribbean and Argentina. Arab television has long been dominated by kitschy soap operas from Egypt, which bear a strong resemblance to Latin American telenovelas. In both regions, social TV and the advent of the convergence have made it easier for independent content creators to begin to break the norm. Using YouTube channels and fledgling OTT networks, they are offering viewers a greater choice of content and allowing them to spread that content via their social networks. One of my co-panelists, Johnny Dabeet runs a production company out of Amman, Jordan that has launched a very successful comedy series called “Bath Bayakha” on YouTube and is looking for a way to distribute it via OTT networks. Word about the series has spread virally and Dabeet’s hope is that as series like his become more successful, established broadcasters will begin to realize that the Arab world is ready for more sophisticated content. But the social behavior that helped launch these series is not going away, and, if anything, will become more of a force in the Arab and Latin American worlds as locally produced content continues to flourish and expand. 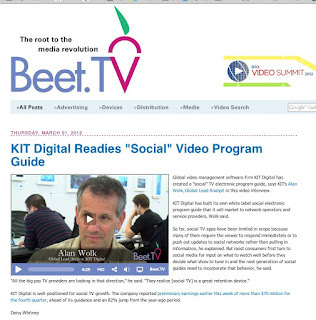 Beet.tv did a great video interview and article around our new white label Social EPG product. We'll be making some major announcements around it next month, but this should serve to whet your appetite in the interim.